With these words, Lady Athelinda Playford — one of the world’s most beloved children’s authors — springs a surprise on the lawyer entrusted with her will. As guests arrive for a party at her Irish mansion, Lady Playford has decided to cut off her two children without a penny . . . and leave her vast fortune to someone else: an invalid who has only weeks to live. Among Lady Playford’s visitors are two strangers: the famous Belgian detective Hercule Poirot, and Inspector Edward Catchpool of Scotland Yard. Neither knows why he has been invited — until Poirot begins to wonder if Lady Playford expects a murder. But why does she seem so determined to provoke a killer? And why — when the crime is committed despite Poirot’s best efforts to stop it — does the identity of the victim make no sense at all? 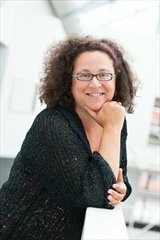 Sophie Hannah is the New York Times-bestselling author of numerous psychological thrillers, which have been published in 27 countries and adapted for television, as well as The Monogram Murders, the first Hercule Poirot novel authorized by the estate of Agatha Christie. It’s never easy when a new author tries to take over from a legend. The Hardy Boys and Nancy Drew books have been written by multitudes of authors hiding behind the existing pen names since forever. Robert Goldsborough successfully stepped into Rex Stout’s shoes and gave us the continuing stories of on Nero Wolfe a couple of decades ago. 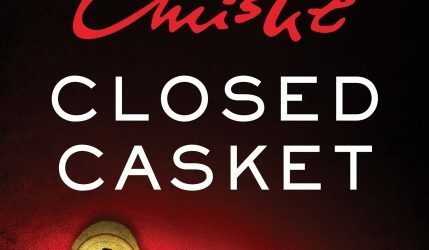 With this novel, Closed Casket, Sophie Hannah has stepped up to write about one of Ms. Christie’s beloved creations, Hercule Poirot, and I have to confess, I asked to review it as much because as I love the dapper Belgian as because I was curious to see if he was safe in Hannah’s hands. I needn’t have worried. 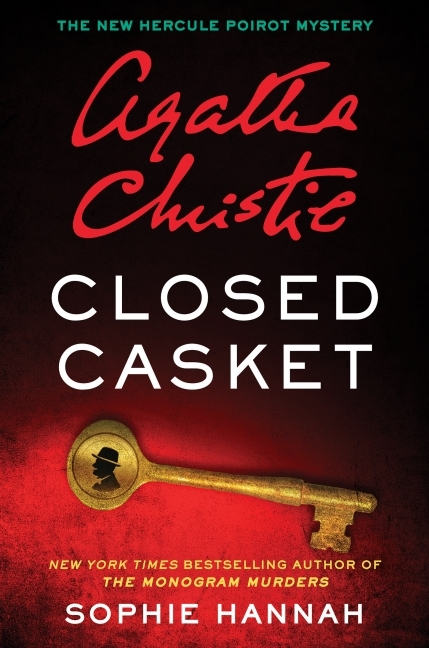 Closed Casket is everything a Poirot novel should be… interwoven plot lines, layers of social behavior, clues upon clues, and through it all, his keen intellect leading us down the path to the solution. From the moment we are first introduced to Lady Playford this novel is compelling. Why leave all your money to someone who may well die before you? Why invite a private detective and a Scotland Yard inspector to a weekend in the country? Why indeed… if it isn’t to force deep truths from your friends and family? It’s hard to review a mystery without spoiling it… suffice to say that all of Hannah’s characters are well drawn. I heard echoes of David Suchet’s performances in Poirot’s speech, and would happily watch a weekly police drama featuring Catchpool. It felt a little like Playford was meant to represent Christie herself, in a way, but I think every reader will come away with that sense, even if it isn’t accurate. As with all Christie mysteries, this isn’t a novel that involves car chases or gun fights. There is little ‘action,’ there is no gore. This is not a spy thriller. What Closed Casket is, is a perfectly plotted, well drawn continuation of a beloved character’s adventures. Hannah’s writing was endorsed by Christie’s estate. I hope she continues to write in this world, but I’m also intrigued to check out her other works. Goes well with a pot of tea, a plate of scones, and whatever you do, don’t look behind that billowing curtain.